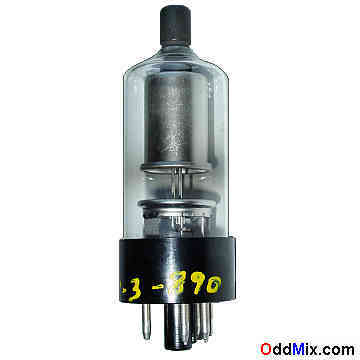 This is possibly a genuine discontinued Sylvania made 3A3 Half-Wave Rectifier electronic tube. It was pulled from the line as an engineering test sample. 3A3s are used for high-voltage low-current half-wave rectifier applications, usually in television receivers or RF equipments. This tube is excellent X-Ray Emitter for experiments, antique radio or television restoration projects, high voltage project or to set up a private vacuum tube museum. It is an engineering sample tube - used, tested, without box, excellent condition.